See… all it took was this picture right? Doesn’t it just look to-die-for? Bottega Louie is described on their website as ‘a 255 seat Restaurant, Gourmet Market, Patisserie and Café’. Initially I thought it must be huge! I normally love quaint little pretty cafe’s so I was little inquisitive about how noisy this place might be, but also grateful that we probably wouldn’t have a problem being seated, which is why they don’t take reservations. I loved that there was a restaurant too, so we could actually eat something substantial before tucking into the glorious sweet treats on offer. So, armed with a glass of fizz and a menu in my hand I started the process of narrowing down my food choice! I always find this so hard when the menu is so good, and even like to wait and see what everyone else orders first (for fear of missing out) before I make my final choice. In the end I decided to order the Porchetta Sandwich –Slow roasted pork, caramelized sweet onions, Peppadew peppers, arugula & brined caper aioli – it was AMAZING!! To help wash down my food I also ordered a Cherry Italian Soda, and again it didn’t disappoint! I even munched on the yummy fresh black cherries that were left at the bottom! So finally, crunch time arrived – what dessert was I going to choose? After seeing the vast amount of delicious treats in the window, of which I knew I would only be able to fit one in, I finally settled on the ‘Le Grand Macaron – French almond cookie with vanilla cream, raspberry jam & raspberries’, and as you can probably guess – big thumbs up again! 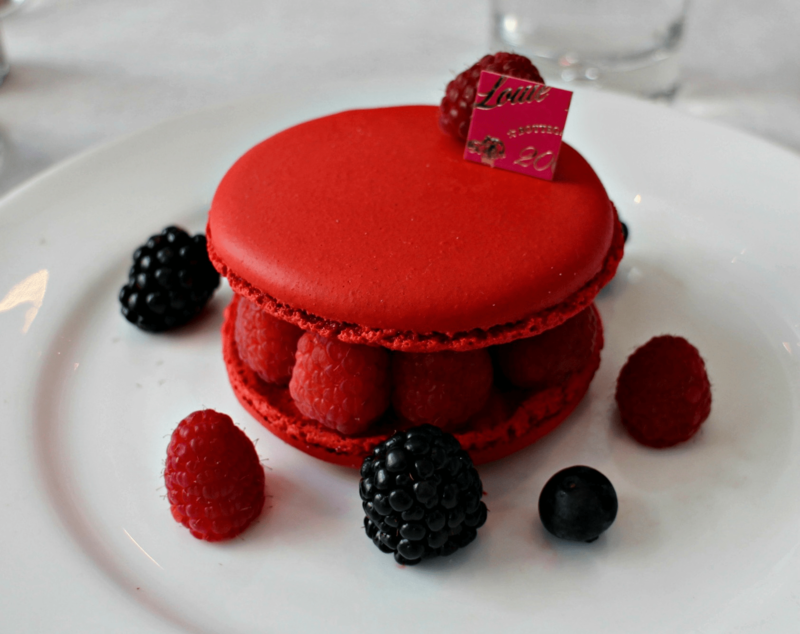 The macaron was baked to perfection. Hello Cuppies needs your help! "Perfect Mum Syndrome (The new ‘PMS’)"